Taking shower is no more just a routine work, but it has become a luxury that everyone should enjoy. 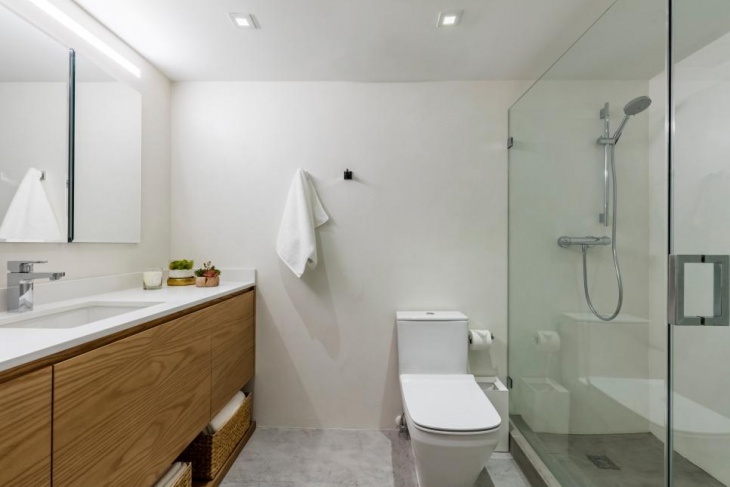 While creating a new shower room or refurbishing your old one, you can pay attention to a few things and turn your bathroom into a lavish place to relax. 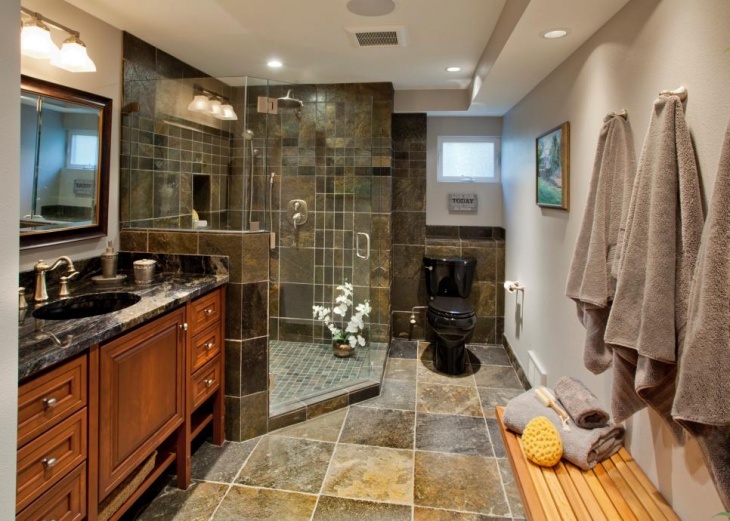 You don’t have to spend a lot to get your desired shower place; many ideas are there to get things done in your budget. Here are some lavish and trendy shower designs for you to get some inspiration. Small space is usually thought as a restriction but not anymore. 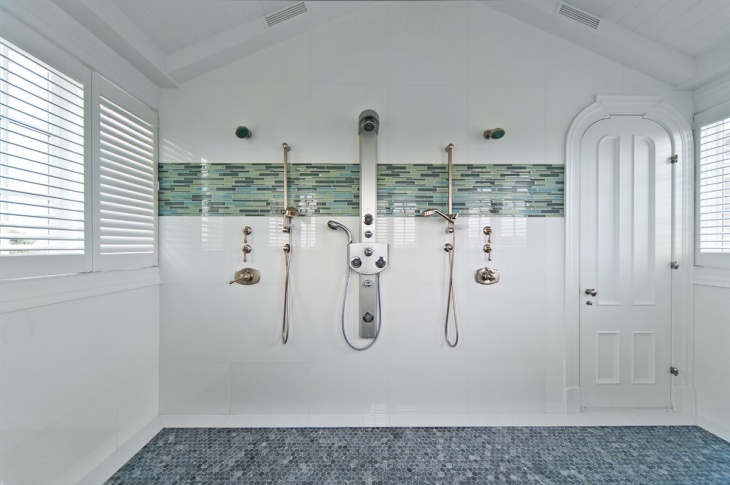 This design showcases a beautiful shower space that has accommodated almost everything one can ask for. 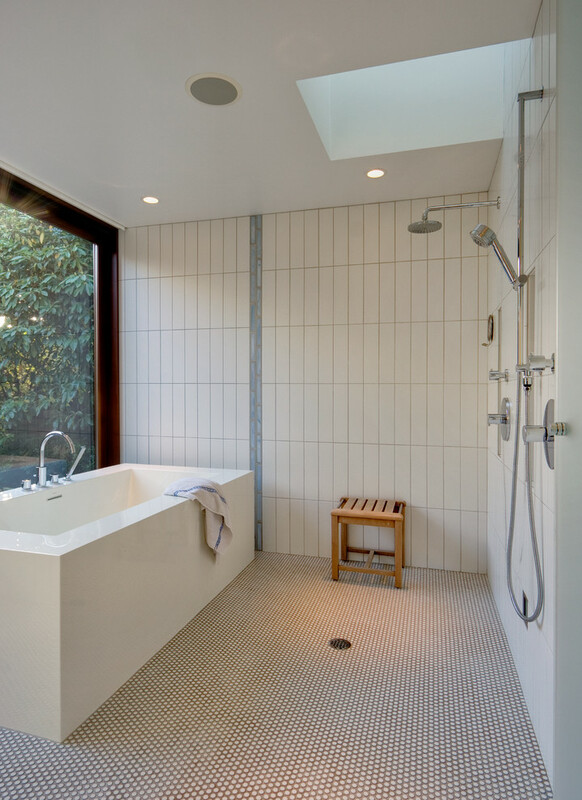 The bathtub is included in the shower room hence it solves a dual purpose of both the shower and the bathtub. You can line the floor with mosaic tile and get stylish instalments. Such shower room is a little contemporary in style but adding plants in there can give it a little modern touch. White walls and tiles are always in trend as they give an authentic look. Matching your floor and walls will give a bigger room illusion. 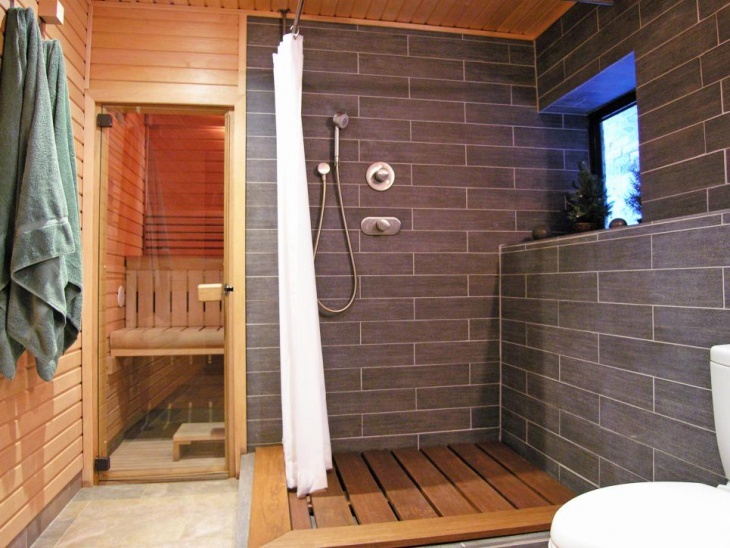 Your unused attic space can be turned into a lavish shower space. 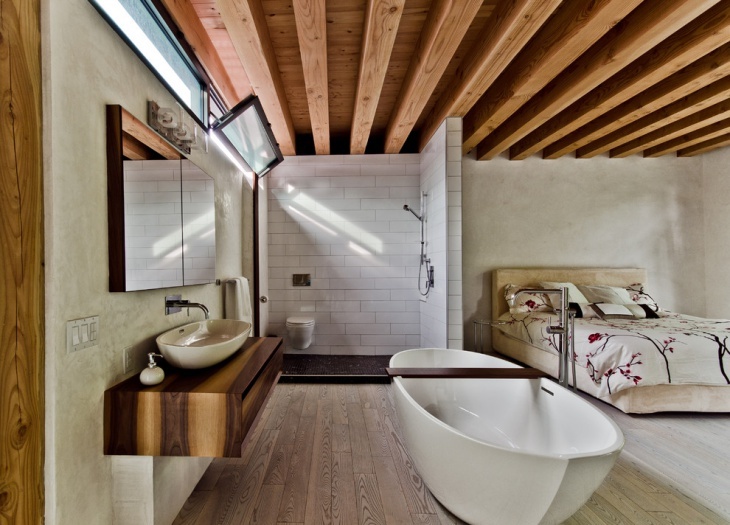 The room is parted here using rustic tiles that are giving the room an overall contemporary look. This is apt for people who are restricted with space and have to use the space for multiple purposes. 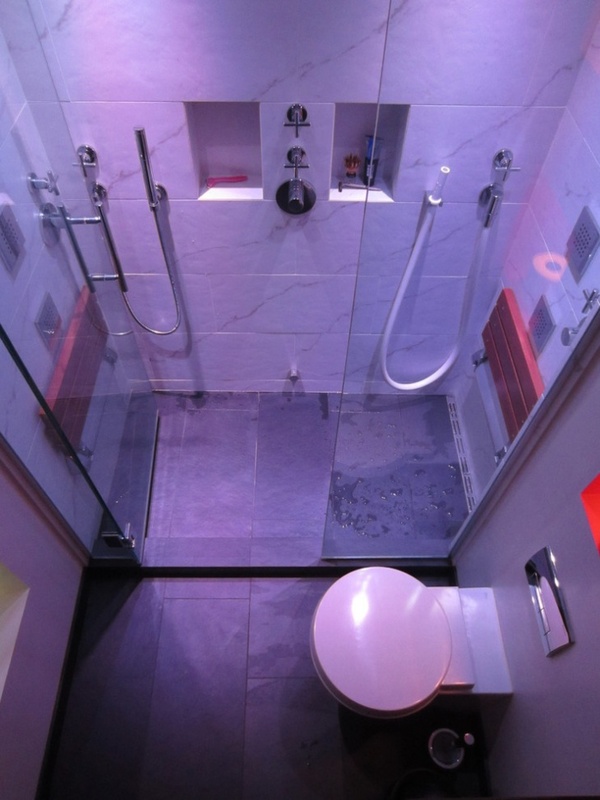 The shower space can be made as a walkway lighted with many dimmed LEDs. Rain shower used here is making the whole space usable. The storage cabinets are built into the wall leaving all the space for shower purpose only. This room fits right for those who have their shower room cornered at one end or below the staircase. The corner space is surrounded with glass partition which does not compromise with the overall space. Light colored walls give the room a simplistic look. 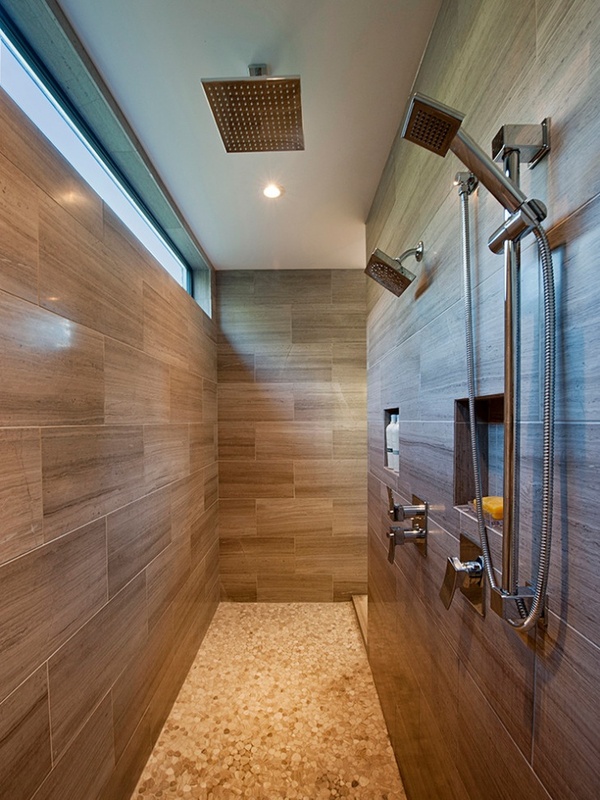 If you have a spacious room to spare then this lavish shower room is set to bewilder anyone. 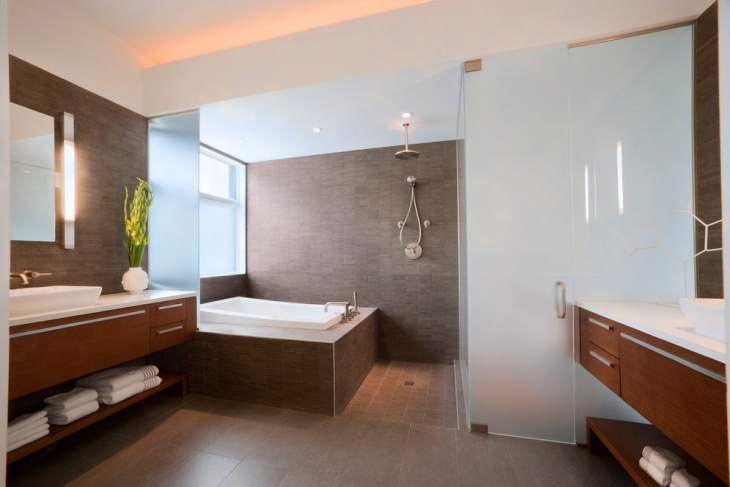 With enough storage spaces and cabinets built in here, the shower room looks so elegant with effective lighting. 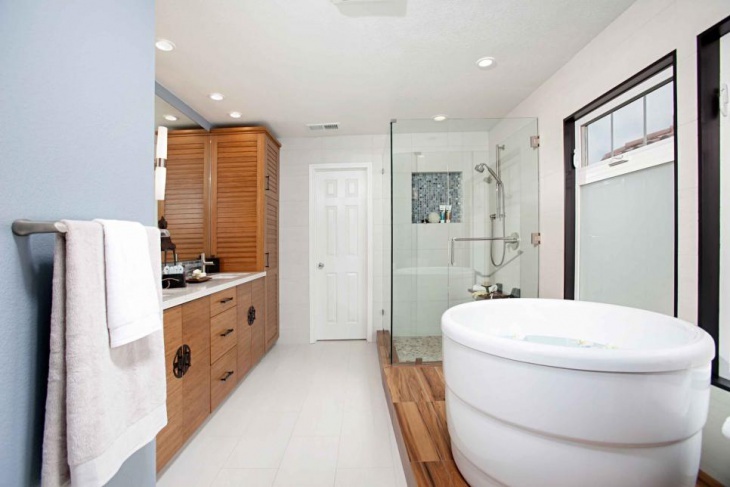 The bath tub and shower area are partitioned that will leave the dressing room neat and dry. 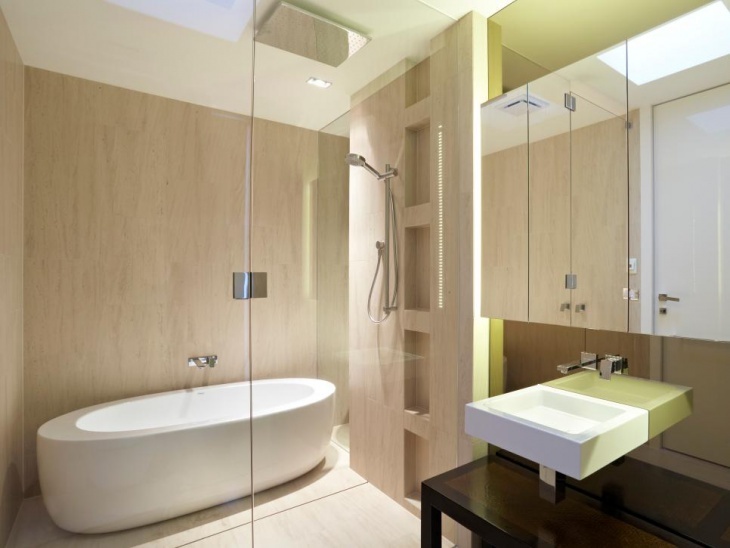 Shower rooms for hotels and lounges should be luxurious and kept extremely tidy. This shower space is built in such a design that it gives a personalized feel. The lightings and decor used will give the customer a serene satisfaction. Bathing outside has a fun of its own. 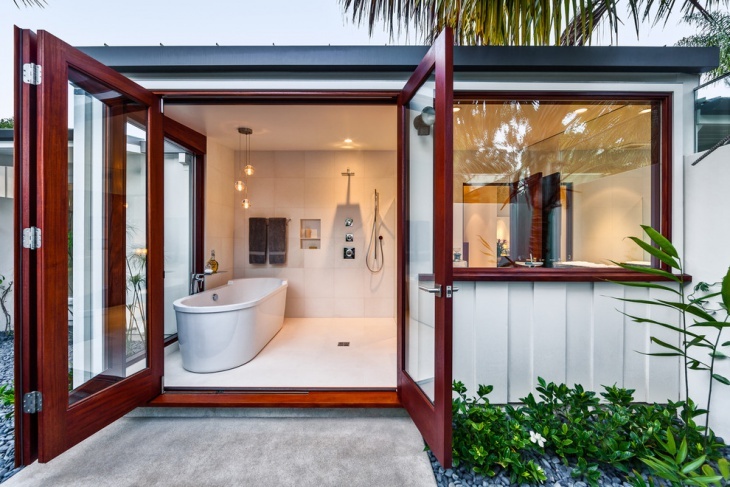 This open shower design space built in with closeness to nature and surrounding making a shower a soothing and relaxing experience. Glass fitting used in here are framed with wooden lining giving an expensive look to the overall built.